River Flow - Sanctuary is the long-awaited sequel to Catherine Marie Charlton’s 2001 release, River Dawn. 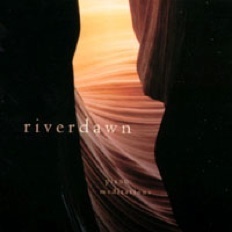 River Dawn was conceived as background music and not intended for close, focused listening. I have listened to River Flow with full attention as well as in the background and have found that it stands up beautifully to either type of listening - or a combination of the two. A continuous one-hour solo piano improvisation, there are track listings and titles for twelve segments, but the CD plays as one uninterrupted piece. Staying focused while improvising for a full hour has to be extremely difficult, but the music unfolds effortlessly and naturally without areas that lag or seem out of place. The remarkable thing about this album is how calming and soothing it is without being simplistic. Parts of the music are more complex and vibrant than others, but the themes flow together seamlessly, allowing the music to evolve at its own pace. 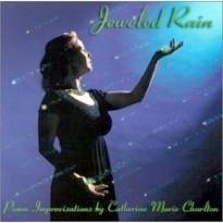 Charlton is a composer/pianist with an extensive background in classical music and jazz as well as new age stylings, bringing a wealth of musical as well as life experience to her music and creating a unique musical voice in a very large world of solo pianists. Charlton explains in the liner notes that after recording the music, she lived with it for months before deciding to make this the take to release. She explains: “After listening hundreds of times in the baby’s nursery and in the car, I came to realize that when I hear the music, I feel a calm wave come over me and I feel protected and safe - I have entered a ‘Sanctuary’ as it were - moments of peace amongst the chaos of motherhood.” I was surprised to read this after listening to the album several times and feeling that same “calm wave” - a most pleasant sensation! The music also extends a warm and welcoming invitation to breathe, to release, and to just be for awhile. River Flow - Sanctuary is truly an exceptional listening experience, and one that I highly recommend. Even the cover artwork is stunning! 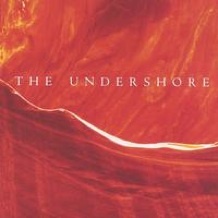 It is available from catherinemariecharlton.com, Amazon, iTunes, and CD Baby. 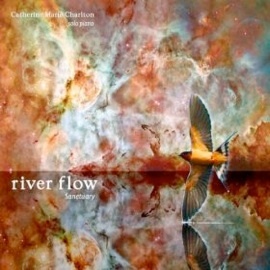 A tenth anniversary edition of River Dawn was released a couple of years ago and is also available, along with Catherine Marie Charlton’s five other albums.